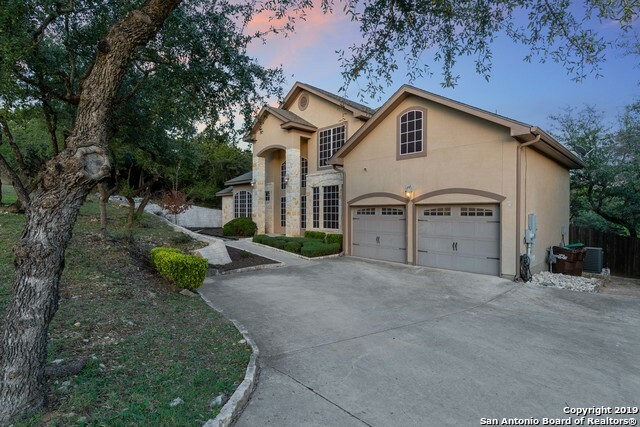 All Timberwood Park homes currently listed for sale in San Antonio as of 04/20/2019 are shown below. You can change the search criteria at any time by pressing the 'Change Search' button below. "ABSOLUTE SALE. SUBMIT ALL OFFERS. RELOCATING, MUST SELL. CALL US TODAY. TAKE ADVANTAGE AND WIN THIS TROPHY PROPERTY NOW. 4431sf Home* Custom Designed & Owned By a Structural Engineer and Real Estate Broker*1st Time On The Market*Brazilian Cherry Floors*Master&Secondary Ensuite Are On The First Floor W/ 2 Secondary Bedrooms and Gameroom Upstairs*Kohler Fixtures*Beautiful Vistas&Privacy From The Rear*Fully Fenced In Massive Backyard**You Cant Build For This Price!!! **Best Of All...NO CITY TAX! 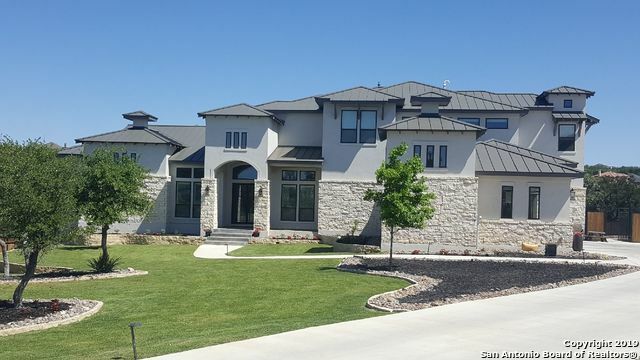 *"
"Beautiful new 4/3.5 custom home on .5 AC with a level lot! 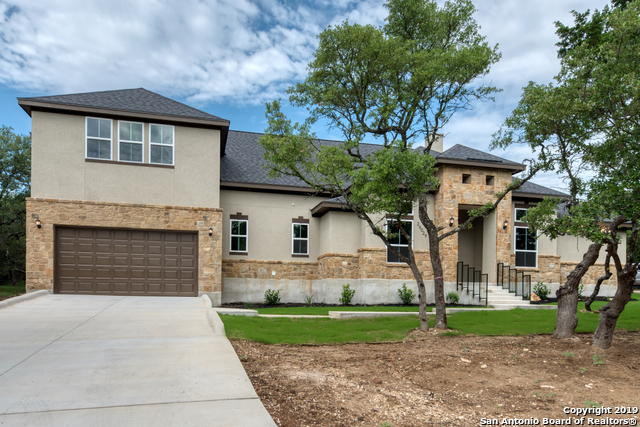 Stone - stucco exterior, open floor plan, 2 fireplaces, 18x17 kitchen, custom cabinets, SS appls, Granite, 8ft doors, 10ft+ ceilings, study, Game rm, powder bath, Architectural arches-beams and high coffered ceilings, radiant barrier, Luxury mstr bth wth walk in shower, garden tub, huge closet, Large back yard off your massive 37x16 back patio, and much more! Home is located in desirable Timberwood Park see additional info for details A "
"Gorgeous NEW 4/3.5 custom home on lovely oversized .82 ac lot, stone and stucco exterior, open floor plan, fireplace, Solid custom cabinets, SS appls, Granite, 8ft doors, 10ft+ ceilings, study, powder bath, Architectural arches-beams and high coffered ceilings, in wall pest control, radiant barrier, Luxury mstr bth w/ walk in shower, garden tub, huge closet, Amazing Hill country view from 21x14 covered patio. Home is located in desirable Timberwood Park HOA see additional info for details. 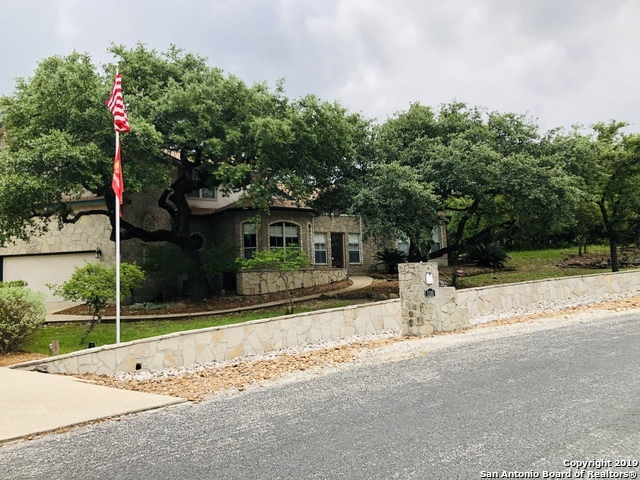 A mus"
"OPEN HOUSE SATURDAY 4/20 10AM to 4PM~Quality Custom Craftsmanship in this topnotch home w/it's amazing setting~Love, care & upgrades have gone into this 1-Owner home~Soaring ceilings, open, bright~Make meals & memories in the gourmet kitchen~Master bdrm w/fireplace & Luxury Bath w/island, storage galore oversized walk-in shower, HUGE Closet~4th bdrm w/Full bath & addt Flex Rm~GmRm w/2nd kitchen, wood floors & beautiful Rock Fireplace~2 cvrd patios w/breathtaking country views~~Above Ground pool "
"Beautiful cozy house Spanish-Hacienda style in Timberwood Park known for its big lots, nice homes and excellent community park. Smart accent colors and a convenient flowing floor plan with Granite Island kitchen. 4 bedrooms and 3.5 baths. Master bedroom with full bathroom located downstairs. Office convinient located at the entrance. Great back yard with mature trees and covered patio. Clean as a whistle! Thanks for looking!" "Absolutely stunning property with gorgeous backyard! 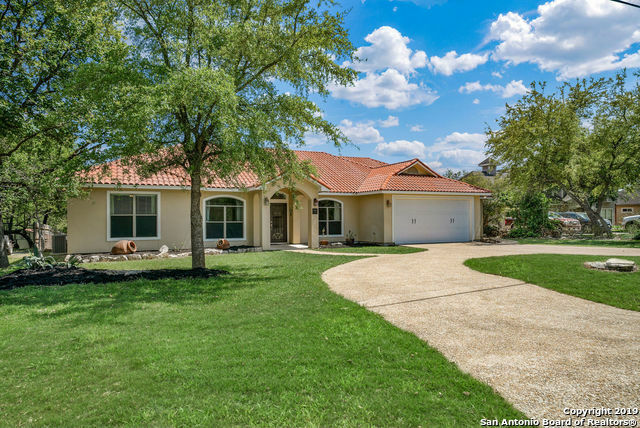 Nestled within numerous majestic oaks you will not be disappointed with the improvements this home offers - no homes directly behind property. 4 bedrooms w/possible 5th (bonus room), 3.5 bath, game room, computer room. Lots of storage areas, oversized garage, side yard, separate dog yard. Too many extras to mention - schedule your showing today!" 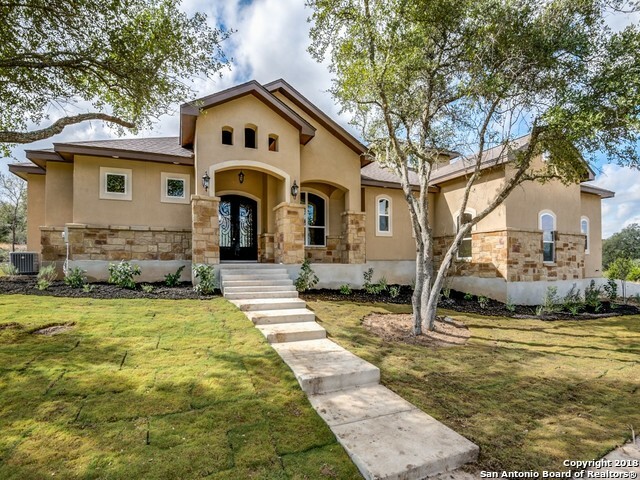 "Come view this beautiful new construction home in Timberwood Park! Great 3 bedroom, 2.5 bath home! Be sure to check out the brand-new, never been used appliances, fresh paint and gorgeous flooring. This home also features a pristine office area perfect to set up shop in. At just over half an acre, the view from the backyard is stellar!" "Our model home is now for sale and MOVE-IN READY! Brand new and never lived in! This beautiful home features stainless steel appliances, gas cooking, high ceilings, porcelain wood tile, and minimal stairs. 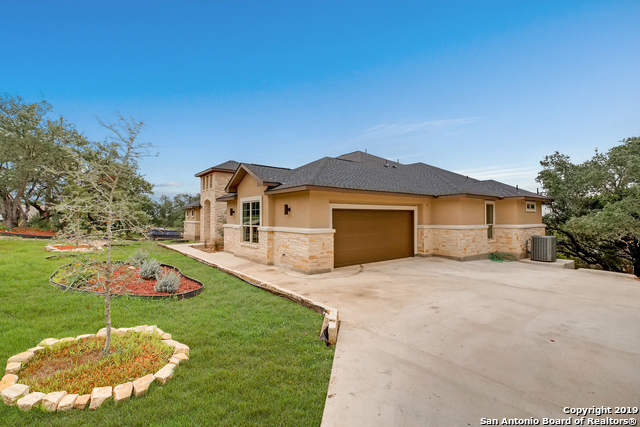 Perfect for those that want single-story luxury living with a large, low maintenance backyard. Perfect for a pool! $3,000 Landscaping Credit with an accepted contract...use it however you want! Serene Custom Homes can also build on your lot! *Photos have been Virtually Staged*"
"A MUST SEE!! 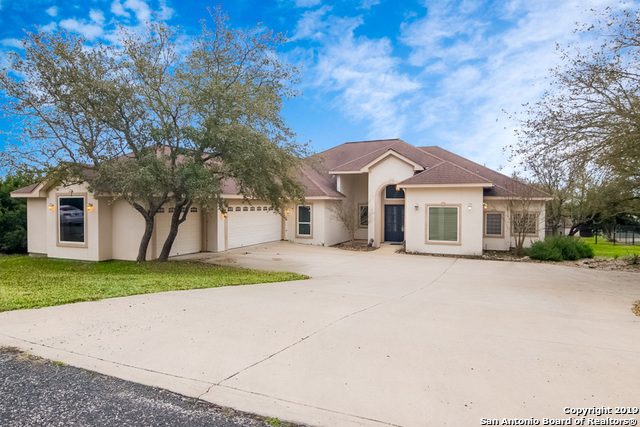 This beautiful 3 bed 3 bath with study/office sits on nearly a 1/2 acre corner lot!!! This home is situated perfectly for entertaining including great open floor plan with gorgeous infinity edge pool and huge covered patio. Home also features large kitchen with breakfast bar, granite countertops, spacious master suite with acces to patio, large master bathroom with soaking tub and separate stand up shower, marble floors, eligant built-in fish tank between formal living and dining an"
"*Pictures are of model home. * Home is in the process of being built. Beautiful custom built home on half an acre in Timberwood Park! Energy efficient, open floor plan, with beautiful craftsmanship. Floor plan is customizable dependent upon construction stage. Wilmot Homes, L.L.C. only builds 4-6 homes per year, so don't wait too long! Ask your agent to schedule a tour of the model home and meet the owners to discuss the process. If you are looking to build on your own lot, they can do that, too!" "*TO BE BUILT* NEW CONSTRUCTION! APPROX. 6-8 MOS TO BUILD, BEAUTIFUL FLOOR PLAN WITH OPEN CONCEPT, 4 BEDROOMS, 2 1/2 BATH. GRANITE THROUGHOUT, TILE, CARPET AND DECORATIVE NICHES. CEILING TREATMENTS, ENERGY EFFICIENT. SEE PUBLIC DOCUMENTS FOR LOT SURVEY AND OTHER INFO ABOUT PLANS. BUILDER HAS BUILT THIS HOME BEFORE. ALL QUESTIONS ABOUT PLANS AND MODEL WELCOME. PICTURES ARE OF ACTUAL BORDEAUX MODEL BUILT 2017 IN NEW BRAUNFELS. PLEASE CALL/TEXT/EMAIL WITH ANY QUESTIONS." 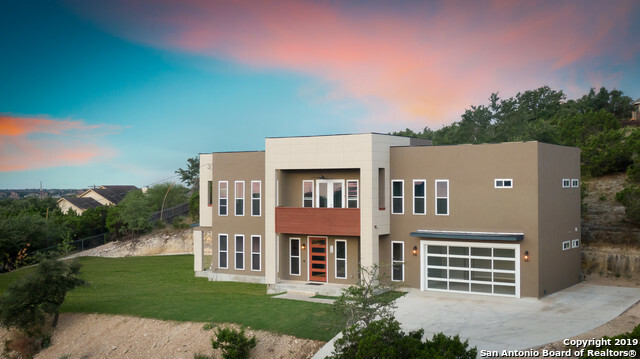 "This immaculate modern home with it's soaring ceilings, gorgeous views, and custom upgrades won't disappoint! The gourmet kitchen offers SS sink/ appliances and a new dishwasher. The open concept living room has a pass through stone to ceiling fireplace providing warmth in and out to the travertine patio. 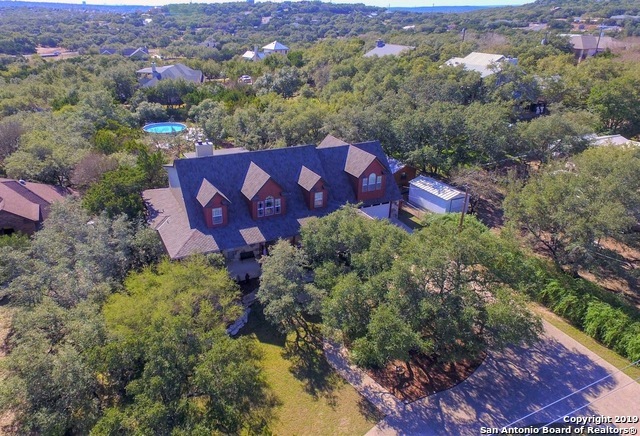 Sitting on .57 acres, the yard is professionally landscaped with river rock, perrenials, and an inviting fire pit nestled amongst the many mature oak tress providing ample privacy. 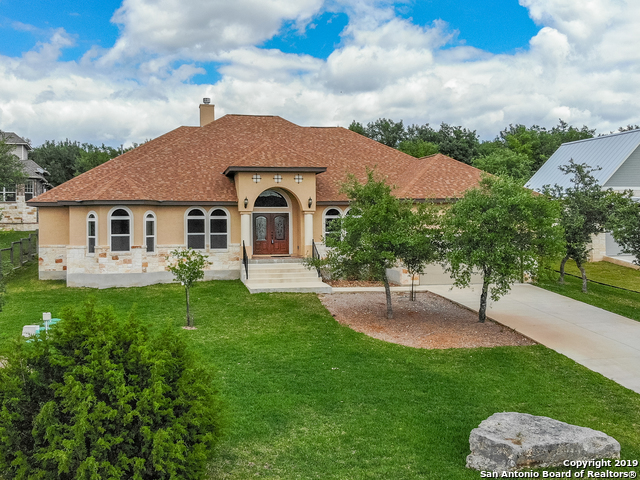 Comal ISD/"
"Beautiful Custom Home on .66 acre! Gourmet Island,Eat In Kitchen with tons of granite counter/cabinet space; breakfast bar. Opens to Living with ceiling beams, live edge fireplace mantel, gorgeous view. Beautiful Master w/tray ceiling, BowWindows, HugeCloset.Masterbath garden tub, sep shower, dual vanity. Upstairs GameRoom, Remodeled Bathroom, 3LARGE Bedrooms. AMAZING BackYard! Terraced outdoor living at it's best! 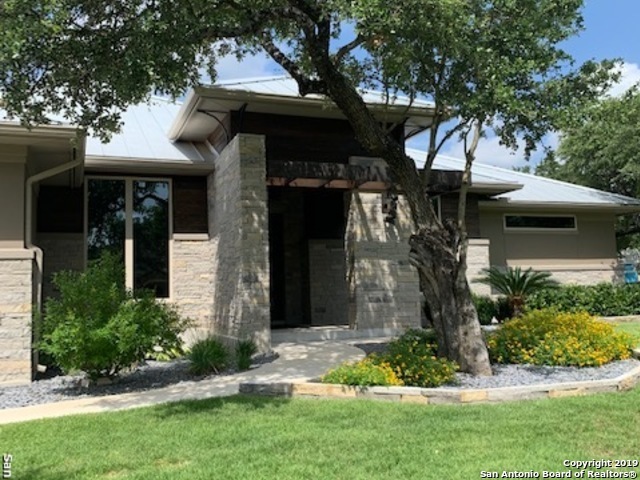 GasKitchen&GasFirePit Dining Gazebo MUST SEE VIRTUAL TOUR"
"Gorgeous NEW 3/2 custom home on 0.61 acer, perfect for entertaining with a fantastic open floor plan, solid custom cabinets, granite counter tops and high detailed ceilings. including in wall pest control, luxury mstr. bath w/ walk in closet, garden tube. 10ft+ ceilings, ss appliances, 8ft doors, architectural arches- beams and high coffered ceilings, A must See!" 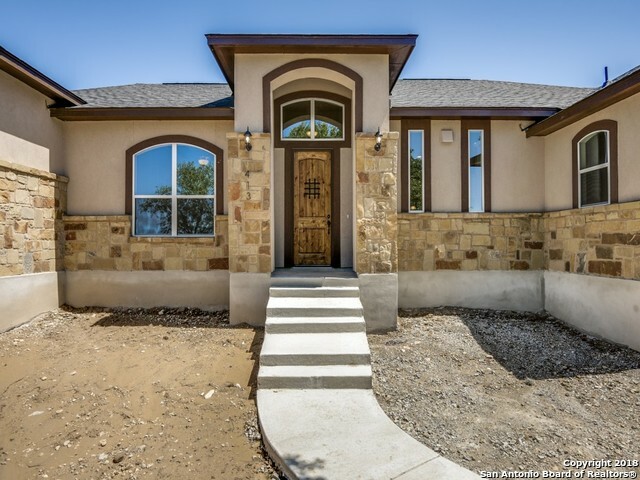 "Come visit this gorgeous home in Timberwood park with beautiful country views. As you walk in you will be greeted with high ceilings and a great open floor plan. The chefs kitchen is open to the living room where you can enjoy a fire in the double fireplace that also faces the master bedroom. It has a huge master bathroom with two large closets. The lush yard is full of mature trees . Make this your new home!" "CUSTOM 3429sf 4br 1STORY ON JUST UNDER 1/2acre OF PRIVATE LIVING. THIS OPEN FLOOR PLAN HAS IT ALL! TONS OF COUNTER SPACE AND STORAGE IN THIS BEAUTIFUL KITCHEN THAT OPENS UP TO MUTIPLE LIVING AREAS IS PERFECT FOR BOTH DAY TO DAY LIVING AND FOR ENTERTAINING GUEST. 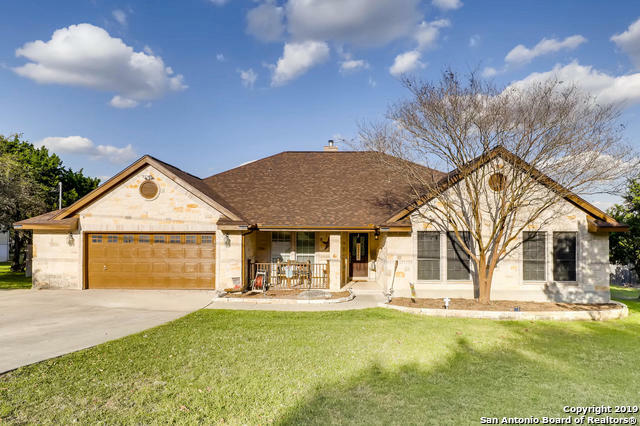 COZY ROCK FIREPLACE, TRAY CELING AND CUSTOM ENTERTAINMENT CENTER IN LIVINGROOM HAS PLENTY OF NATURAL LIGHT WITH VIEW OF OVERSIZED PRIVATE BACKYARD LARGE COVERED PATIO, FIREPIT AND CASITA. 30acNEIGHBORHOOD PARK HAS MANY SOCIAL EVENTS FUN "
"Beautiful 2 story home in Timberwood Park, city close yet w/ country feel! 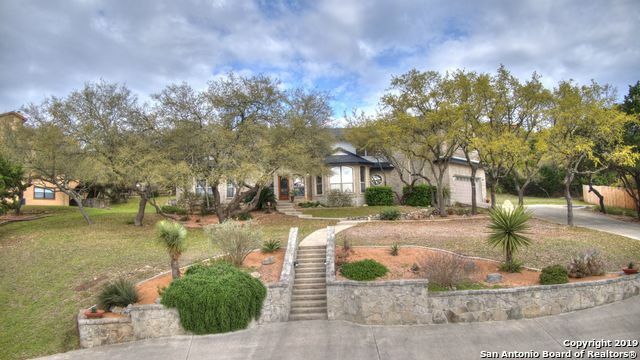 Over 2600 Sq Ft sits on almost .8 acres of Texas! 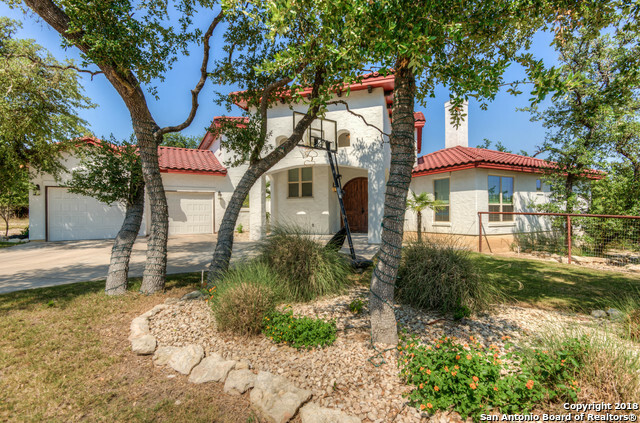 Circular Drive, Hillside views, easy access to Blanco Rd. Vaulted Ceiling in Living Rm, Formal Dining Rm, Island Kitchen has Breakfast bar, Eat in Kitchen, lots of Custom Cabinetry & Counter space. Glass door Pantry, Built in Oven & Microwave. Master Retreat down, large MBath & Walk In Closet, Game Rm & Sec BRs up. Very large Patio outback to relax on! Great Comm. Park & P"
"Beautiful home in a great neighborhood in Timberwood Park. Very well maintained by original owners of home. Easy access to 1604 and 281. Great Comal school district. Newer roof. First floor master bedroom with attached bath and large walk in closet. Large mature trees. Home includes large shed/ workshop. Large eat-in kitchen with granite counter tops. Beautiful second story views. Game room upstairs with 2 additional bedrooms and full bathroom. Great charm and character." 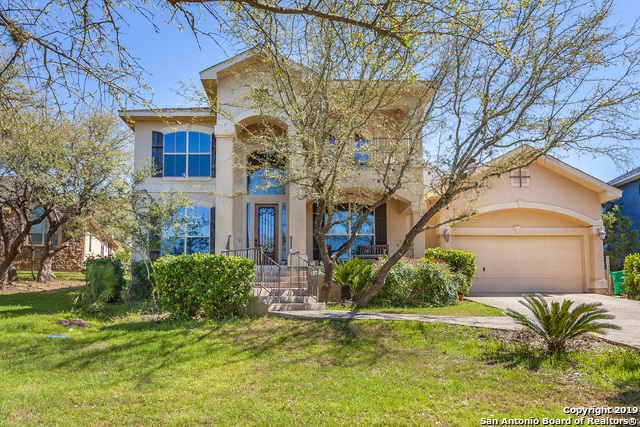 "Rare opportunity in this 4 bedroom single story Timberwood Park beauty! Sitting on over half an acre with mature trees, home includes complete GUEST QUARTERS w/private entry (w/kitchen, living area, & bath)! Space can also be easily used as additional living space if preferred as floorplan is offers several options. Many recent updates including HVAC and water heater. No lack of storage space with the HUGE custom pantry!" "Beautiful views, swimming pool, 2,412 sq ft, 1/2-acre cul-de-sac wooded homesite, 3 bedrooms, study or 4th bedroom, 2 baths, 2-car garage with workspace"